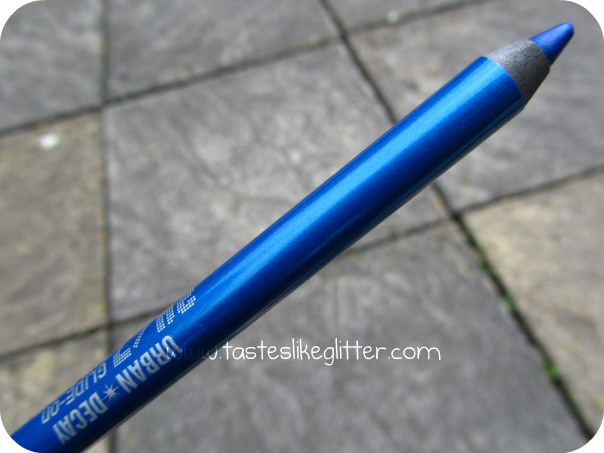 Another one of Urban Decay's fabulous pencils. I seriously can't get over these. Beautifully pigmented, buttery soft and come in the most amazing colours. 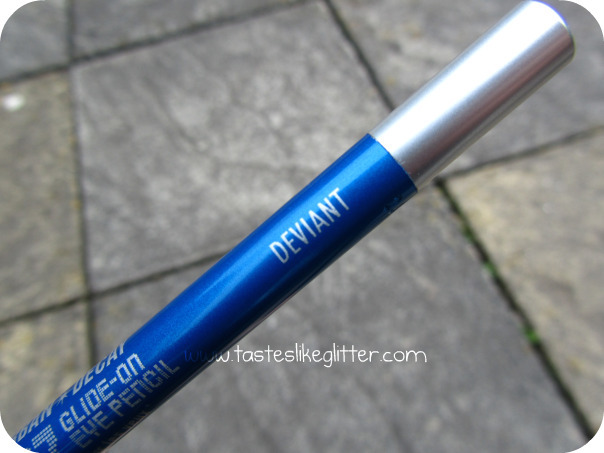 Deviant is a bold mid tone blue with very teeny silver sparkles. I love blue eye makeup but I tend to lean more towards bright electric coloured blues, this isn't as bright as something I usually go for but it's such a nice colour. If I'm wearing a smoky eye and don't want it to look too dark, I just pop this along the waterline and it instantly brightens it up. The formula, as with all their pencils, is top notch and this is crazy pigmented. I barely had to swipe over the swatch to get a full opaque and even colour. It seems some people don't like these and say they smudge but I don't have any trouble what so ever and infact, these are the only pencils I can wear on my upper lashline as others just transfer and smudge all over my lid. What do we think of the colour? It's quite and interesting one, that I haven't seen blogged about. How do you feel about coloured liners? Love? Hate? Indifferent? Let me know your thoughts.